Street Gourmet LA: Tacolandia Pre-Sale Starts Now Until March 8--Get Your Tickets Now! Tacolandia Pre-Sale Starts Now Until March 8--Get Your Tickets Now! 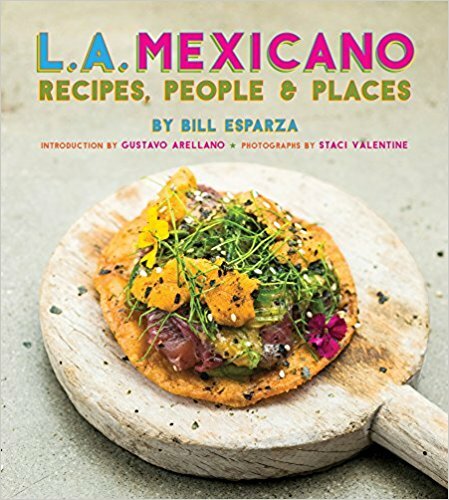 I'm happy to announce L.A. Weekly's the 3rd Annual Tacolandia on June, 16, 2015 at El Pueblo de Los Angeles (Olvera Street), to you all, and I even have a pre-sale code to share with you that you can use now until March 8th. This year we'll feature 80 of the best taco and street food vendors in Los Angeles, San Diego, Orange County, and 3 states in Mexico: Baja California, Sonora and Nuevo Leon. This year, the Vendy's Cup will be at Tacolandia, and yes, lot's of great tequila, beer and more to enjoy with your tacos. Go to this TicketFly link and use the code: TACOBILL to unlock the ticket types, yes, that's right, TACOBILL. We've sold out our previous 2 years a week before the event, so, I recommend striking while the plancha is hot. Can't wait to taco with you on June, 6th. Does the vip ticket allow early access or are all ticket holders let in at 3 PM?